If you want to stay ahead of the email marketing curve, then be sure to attend the International Email Marketing Summit on November 15, 2012 @ your desk – It’s FREE! Learn all about the latest trends, best practices and case studies in email marketing from top experts around the globe. Be sure to catch Ross Sibbald, Head of eMarketing, Striata as he presents on how email can help you win the loyalty game. 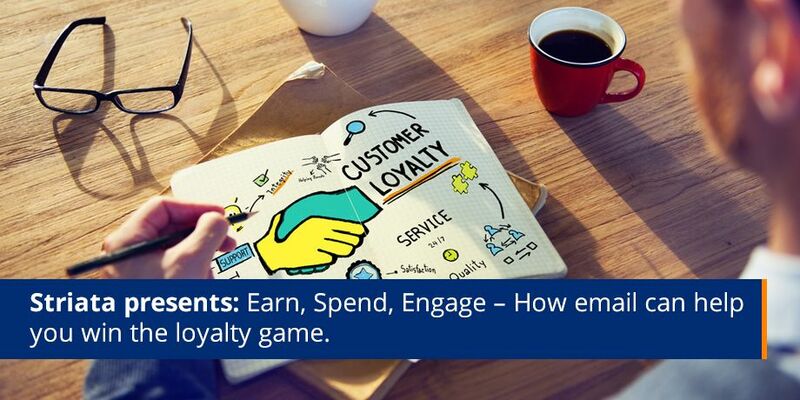 Title of Presentation: Earn, Spend, Engage – How email can help you win the loyalty game. Loyalty programs have solved a major issue for retail marketers by providing otherwise unattainable information about customers, their preferences and buying behaviour. By embracing the power of digital communication, you can further enhance loyalty and lifetime value through highly personalised, targeted messaging. Attend this presentation and walk away (from your desk!) with some great tactics that you can apply to your current email marketing program. If you would like more information about this exciting event, please be in touch.